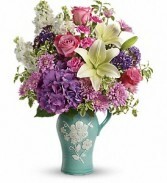 Glazed stoneware pitcher with handpainted embossed details filled with spring mix of roses, hydrangeas, stock, lilies and poms. 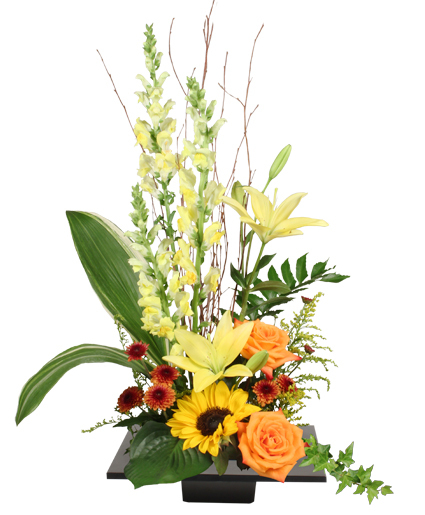 A beautiful way to express your feelings! 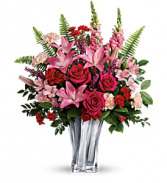 Elegant bouquet of hot pink roses, Asiatic lilies, alstromeria, snapdragons delivered in a silver mirrored vase.